For those who love sport and thrills, the inn Africa offers several very original sporting activities to fully appreciate the dunes of the Sahara differently! Equipment rental costs you nothing! 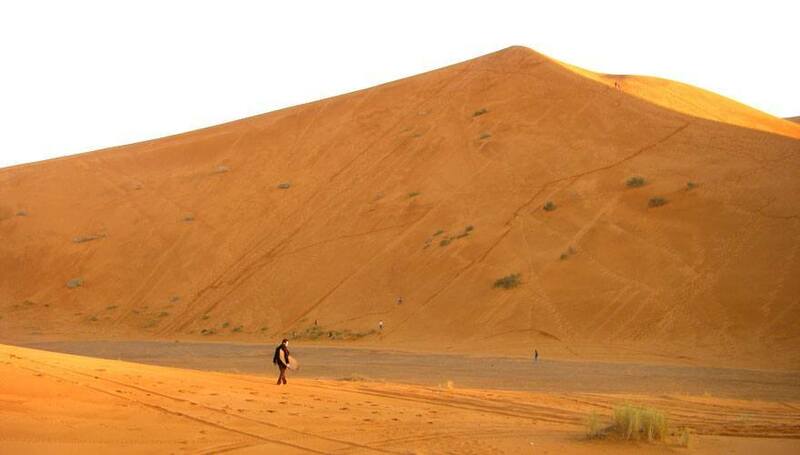 A descent of the great dune skiing, surfing, bodyboarding, sledging … Of course, the great dune of Merzouga is not equipped with ski lift, so it’s walking or possibly assisted by a camel that you can climb, and then have fun down the hill over almost 175 yards! More adventurous? 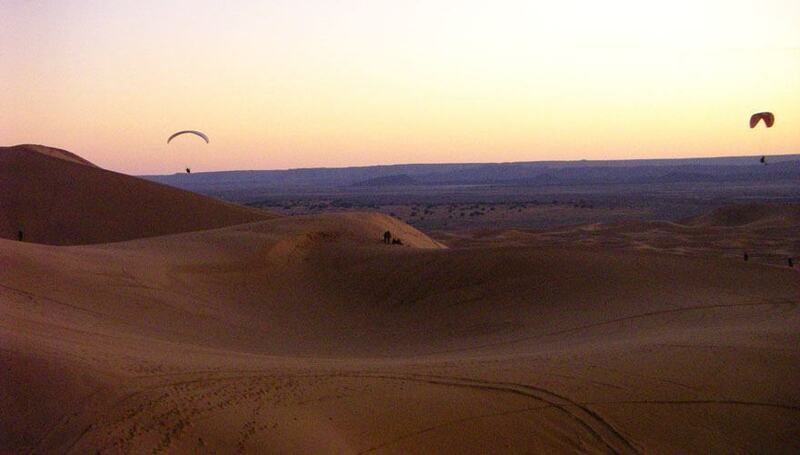 You can also go paragliding or kiteboarding from the great dune of Merzouga … unforgettable sensations! Come with your equipment! 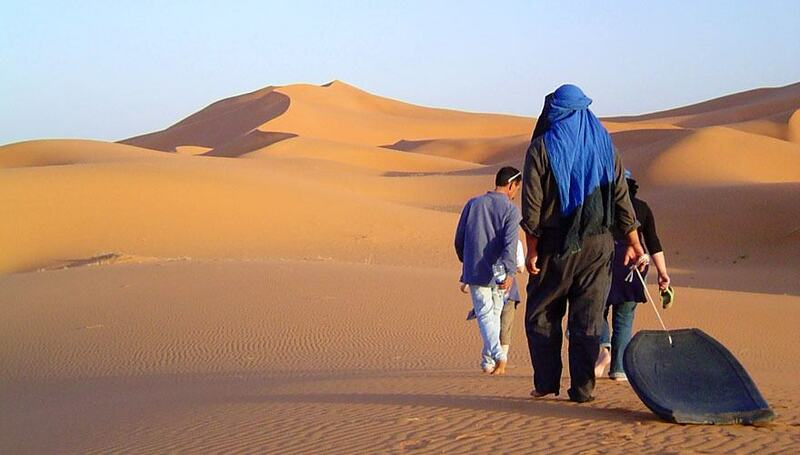 Erg Chebbi is also the ideal place for hiking or trekking in the Sahara walking, mountain biking or on camelback, we would be pleased to arrange. he region of Merzouga in April each year hosts a major sports competition in the Sahara: marathon des sables. The itinerary follows any kind of terrain: Saharan dunes, rocky plateaus, tracks, dry wadis, palm groves, small mountains, in 6 steps from 20 to 80 km, including a 42 km marathon stage and non-stop stage of about 80 km partly by night. Competitors come first for the intensity of the event; its reputation is being the hardest race in the world.